Iodophor is a no rinse sanitizer that does not adversely affect the flavor of your beer. The recommended concentration of iodophor is 25 parts per million. Most iodophors are diluted so that the typical use rate is somewhere around 0.75ml - 1ml per liter. Use it at this concentration and allow your equipment to properly drain. Free pipette with every bottle for easy measuring. 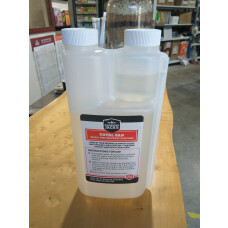 A proprietary blend of caustic cleaners with chelators and surfactants designed to wick into beverage lines and completely remove beer and beverage soils. Made by Five Star chemicals, the creators of Star San and PBW. 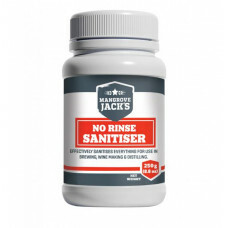 No rinse contact sanitizer - Sanitize your equipment quickly and efficiently. Copper Tun No Rinse Steriliser now comes in a 250g pottle. Making it more convenient for the commited brewer. 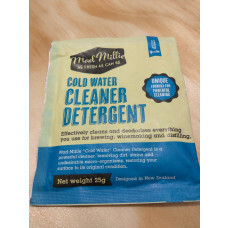 Enough for 10 uses. Effectively sterilises everything you use for brewing, winemaking and distilling. 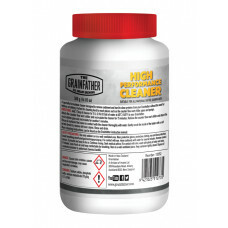 PBW - Powdered Brewery Wash - an alkaline cleaner that can replace caustic soda. It is safe on skin as well as soft metals such as stainless steel, aluminum, and on plastics. It does not need excessive heat to work properly.